Some of these games can be tough if you don't know how to win. If you're a fan of Dumb Ways to Die, you'll love Tapps Tecnologia's Toilet Time: Mini Games To Play In The Bathroom. Who would've thought a bunch of mini-games based on going to the bathroom would be so much fun. Test your tapping skills with a number of skill-oriented challenges you must complete to move on to the next round. This guide will give you a few tips and strategies on how to beat the Unroll mini-game. How do I keep things clean in Toilet time? 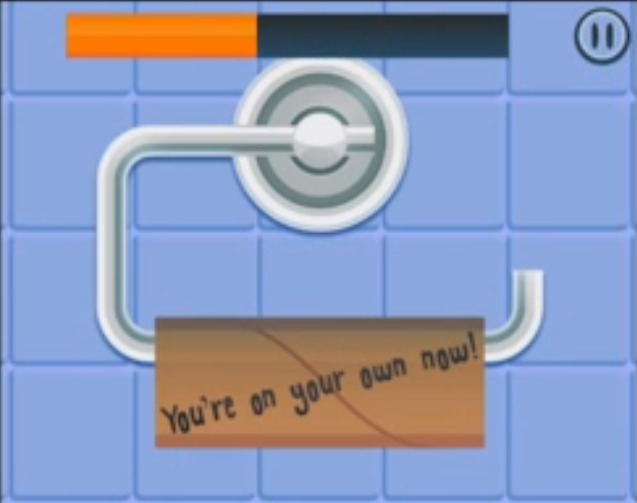 If you're having some difficulty mastering the Unroll mini-game in Toilet Time, we can relate. Looking at the mini-game, it's self explanatory. Unroll the toilet paper before time runs out. So why is it so difficult to accomplish this very simple task? What works in the real world doesn't necessarily translate well in the virtual one. What is the secret to beating Unroll mini-game challenge? Normally, you would pull the paper from the hanging sheet to clean things up. Playing the mobile game, you have to keep your objective in mind, Unroll the toilet paper. To do this as quickly as possible, swipe downwards on the roll repeatedly to reach the end before the time expires. Practice the downward swiping motion to dunk this challenge down the virtual toilet.